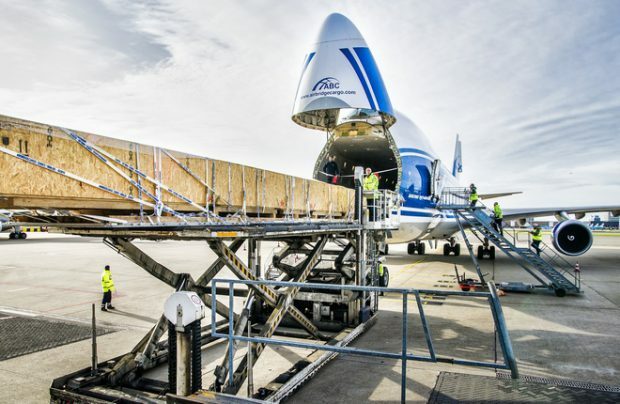 In an unravelling showdown over the rights of American carriers to, the United States Department of Transportation (DoT) has retaliated by demanding that three Russian cargo-carrying airlines – Aeroflot, AirBridgeCargo (part of the Volga-Dnepr Group) and Yakutia Airlines – all file their service schedules and details on aircraft type, frequencies, airports and flight times, within seven days, in a deadline which expired on May 30. The requirement applies to all freight and combined operations, including flights covered by code-share agreements, both within the USA and outside. The US aviation authority explained to Russian Aviation Insider that these airlines are in the firing line because they hold US-issued licences for freight transportation. In future these nominated carriers will have to keep filing the required data 30 days prior to each flight. Aeroflot was not available for comment in time, but Russian B747 freighter airline AirBridgeCargo has confirmed that it has submitted the required data, including aircraft types and their tail numbers. According to the US regulator: “We are taking this action in response to the failure of the Russian government to grant US carriers authorisations to overfly Russia. “Instead, Russia unilaterally switched the [permissible] route to a more easterly entry point in Russian airspace, thereby forcing US carriers to experience significant disruption to all-cargo services between Europe and Asia,” the DoT added. Russia’s cross-polar and trans-eastern air corridors enable US carriers to perform non-stop flights, cutting flight-times by up to 25 per cent on services from North America to South America, south-east Asia and the Middle East. The absence of Russian authorisation results in mounting costs for US carriers, including additional fuel and crew-time expenses, a development which affects their competitiveness and jeopardises their slots at the world’s largest airports. Ultimately, the move could render those flights commercially unviable. The over-flight rights are provided in the air transport service agreement between the governments of the United States of America and of the Russian Federation, an understanding which dates back to 1994. The agreement had been automatically prolonged in the intervening years, but in 2018 the Russian authorities decided not to grant it. The rights for three out of four transit routes have been prolonged until October 2018 only, with the last one pending. Maxim Sokolov intends to start talks “shortly” and will discuss the transit cargo flights as well. The continuing aggravation between Russia and the USA has affected both countries’ aviation industries. Recently, the US imposed sanctions on a number of key Russian officials and successful businessmen, as well as companies involved in the aerospace industry.